Want it by Wednesday 24th April? Order within 3 hours, 4 minutes and choose Next Working Day - Kerbside Delivery (Order Must be Placed by 2pm) at checkout. 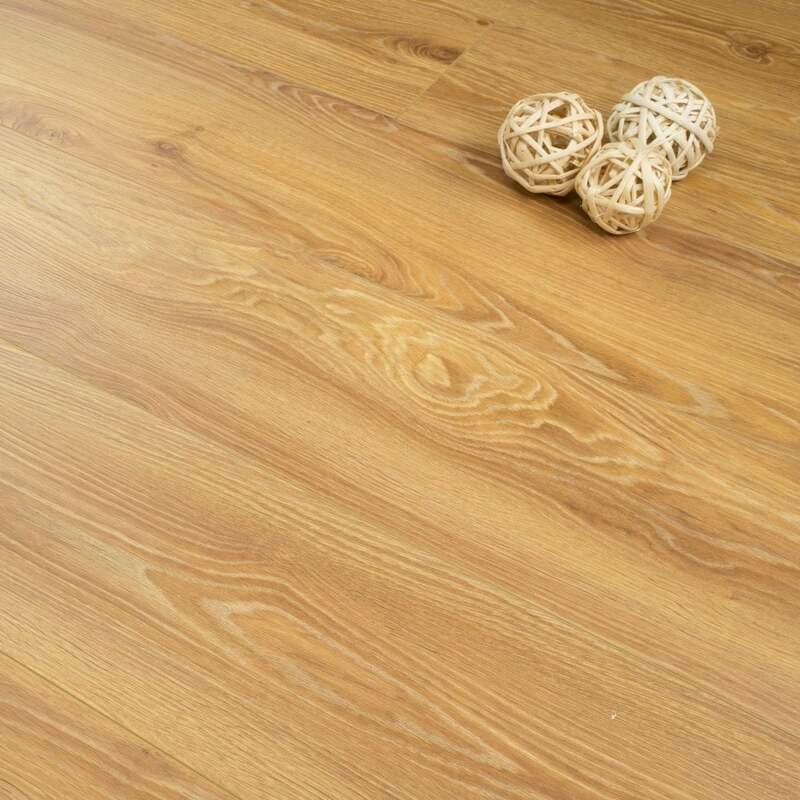 This laminate floor is high-quality, trendy and ecological. The circumferential V-bevel creates an authentic wood floor appearance. laminate flooring can be used in many ways in all domestic spaces as well as in commercial rooms exposed to heavy use, such as restaurants and hotel lobbies. The floor allows floating installation thanks to the glueless click system! Ensure lastingly beautiful floors and trust a professional for installation. The products have a 20 year guarantee for private use.